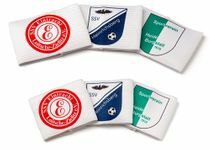 You get a quality captain's armband for juniors or men. The armband is elastic and is made of 100% polyamide. It can be printed to your wishes - for example, in a particular color, with club logo, club name, etc. 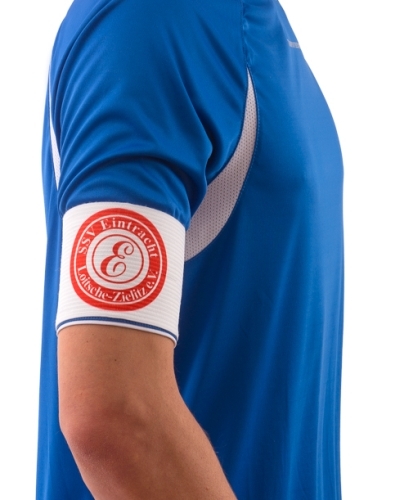 The captain's armbands are available in 2 sizes (Junior and Senior). Just pick your size and add to shopping cart above. The price refers to one each captains armband with print. You can contact our graphics department and let them know your request for printing at: personalise@teamsports.com. Coaches from the professional sector also work with our products. You can also purchase other interesting training supports in our shop. with desired print - includes colors, club logo, club name, etc.